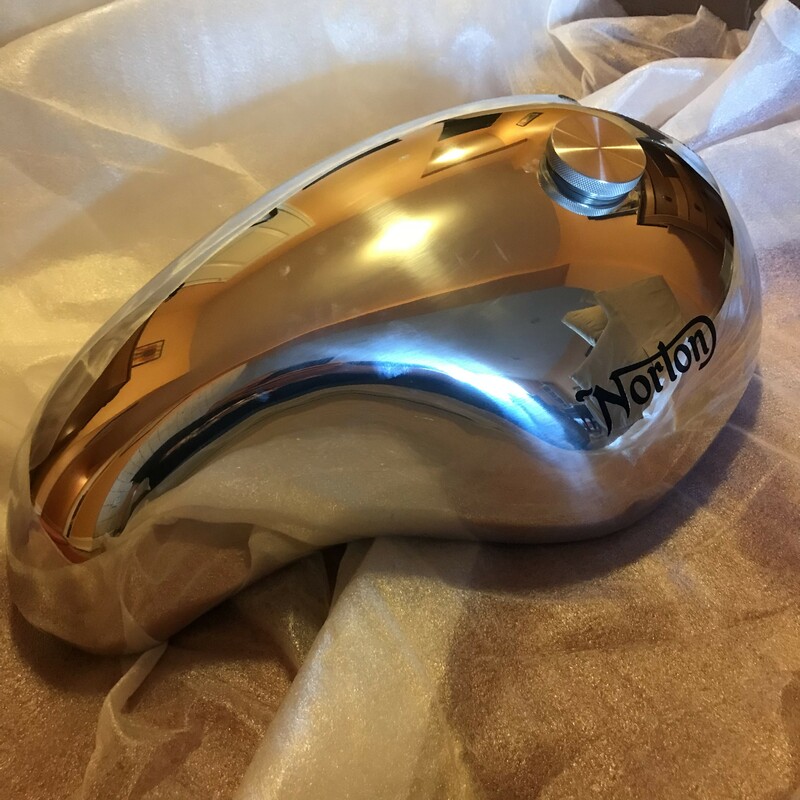 It that a Norton item also? Voodooo, did you get your Monza cap from Norton, or elsewhere? I was just wondering; why doesn't Norton just build the alum tank with an integral Monza cap? It would eliminate the need for the screw-in Monza cap assembly all together. If they did this it would just give me even more motivation to buy one. Norton don’t sell the caps, Rob just told me. So guys, where are you getting your Monza caps from and how do they fit on (ie, are they threaded)? Don't know who supplies the caps for the Norton tanks, but there is a company that makes a screw in Monza cap for the Hinckley Bonneville tanks. May be the same company. its here. Shiny,fingerprint magnet. Black foam protection already applied. BLIGHTYBRIT/SF, thesixthelephant, BritTwit and 2 others like this. Yup ! Its a beauty. Please let us know how may gallons of gas to fill it up . Here’s the cap and part number I used on my aluminum Norton tanks. 83-5201B in yahoo, google or eBay and you’ll find the cap. It comes with a rubber gasket but I used a spin on oil filter gasket instead because it’s thicker and allowed me to screw on the cap and to position it where I wanted it. Seals great and not a single leak. Raphi, speirmoor and MxMartin like this. Nice Tank, What are you going to line it with to protect against acid ethanol attack??. This thread is a timely reminder that I still have a Winter project for the 961... but 'tis just a month or so from the start of the riding season... where has the Winter gone!!!! This thread reminds me that I still have alloy tank envy. My 'other' Winter project has had so many niggling setbacks but at least I am now on the bolt-it-all-together part of the project so should be all down hill now. Put some painters tape over the Norton logos. Then have at it with a polishing wheel, drill and some good alloy polish. Bada bing, bada boom, done. I understand the dilemma - if polished then you need to do something with the tail to match it. If painted then you need to buy another to polish and put on a display stand in your living room. Its still in the box so I havent thought about it. I'm so far behind on everything but I'll get to it one of these days. TBH I didnt think ethanol had any effect on Aluminium tanks? I know some of the Ducati guys were switching to aluminium tanks when their plastic tanks were expanding so I thought Aluminium was the fix. 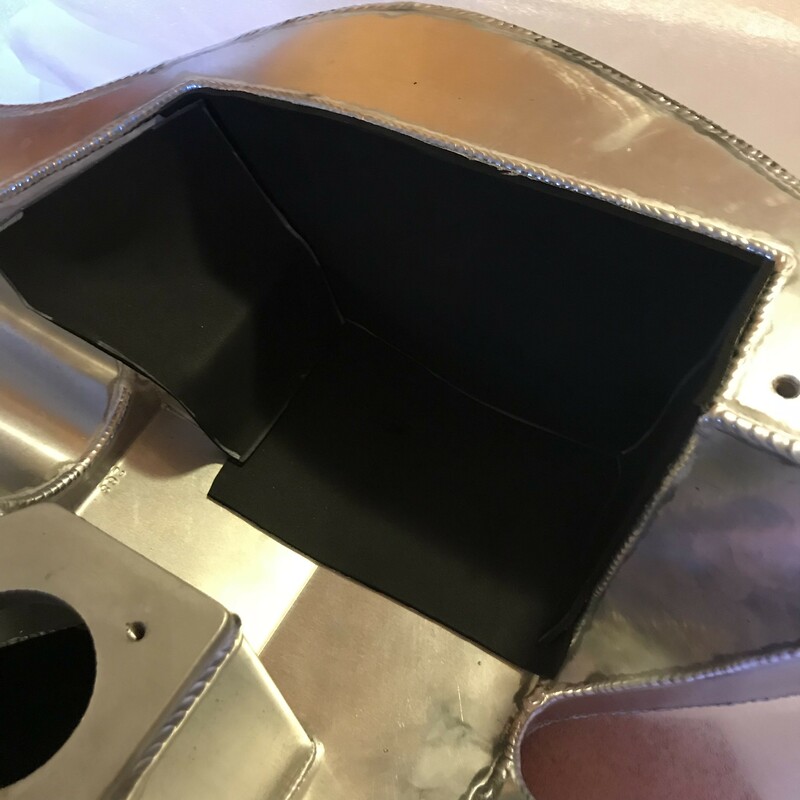 An alloy tank is way better than the nylon; the tank distortion can start very early on depending on fuel, storage, fuel level when stored etc. . Some are lucky enough to get away with it for years but one bad effect is the fuel pump flange mounting distorting and dumping petrol onto your garage floor. Nice.